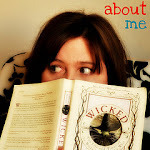 Here's a round-up of my favorite swag! Note: this is not all my swag, just the best stuff. 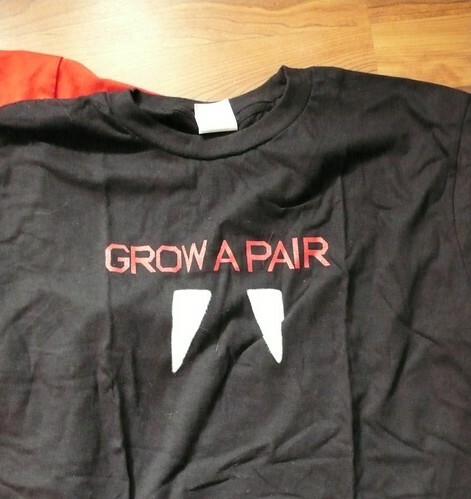 All the things in this post were free, since I don't consider it swag if you pay for it. I love the exclusive t-shirts. 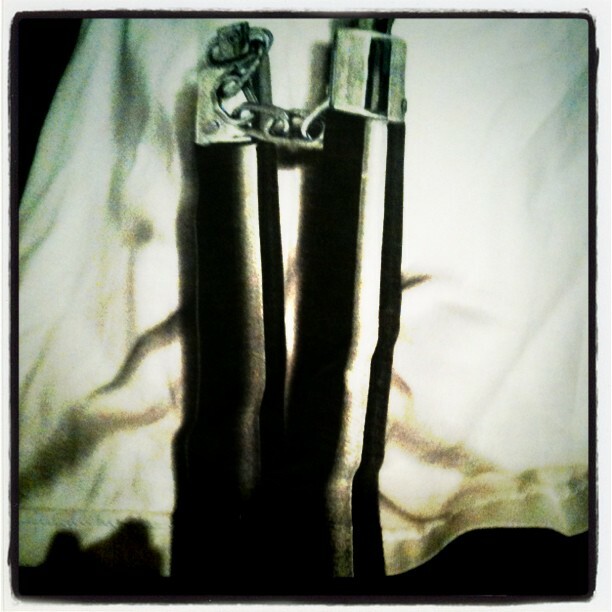 I really think they are the best swag. 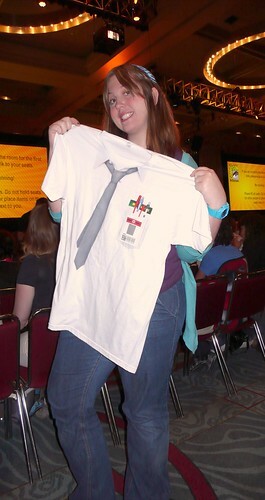 My favorite was the one from the Chuck panel, especially because I didn't think we would be getting any Chuck swag since it is in its final season. 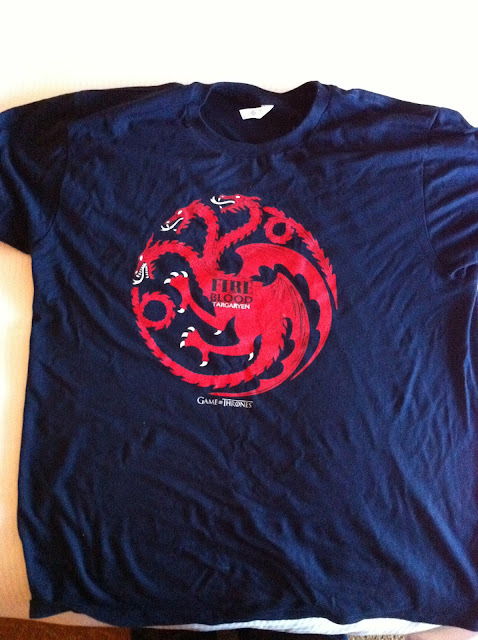 Game of Thrones T-shirt. I got the Lannister sigil and Mike got Targaryen. 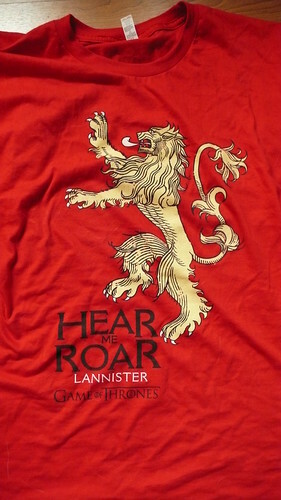 I'm not exactly pulling for the Lannisters, but it is a cool shirt. 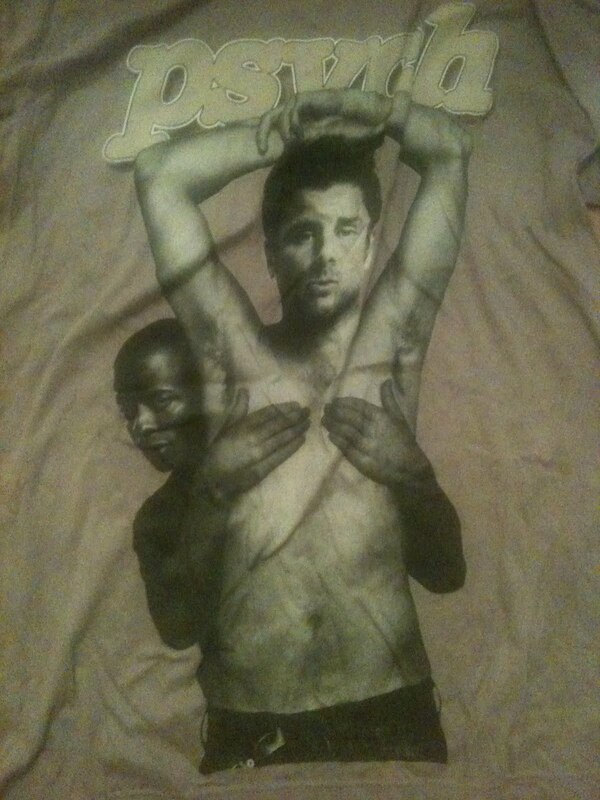 Psych shirts. 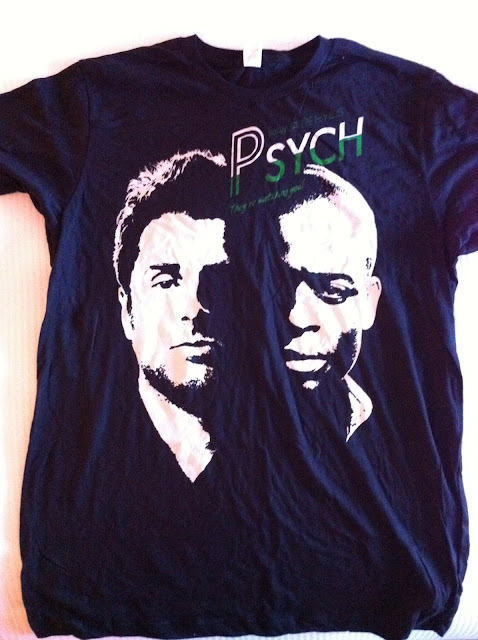 I think my favorite part of the Psych panel was Dule Hill's reaction to the grey one. He hadn't known about it. 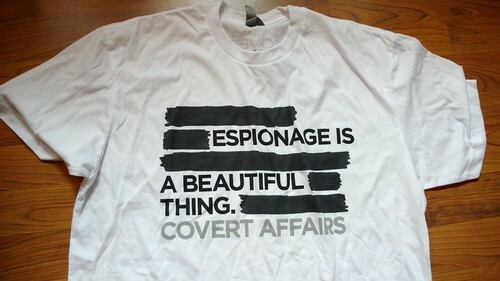 Covert Affairs T-shirt, all redacted and stuff. I loved Peter Gallagher in this panel, he gave an eyebrow salute and joked that his eyebrow was the one on the Comic-Con logo. Cafe Diem napkins and pens. When the server saw I asked for extra napkins and put them in my purse, she came back with a handful of pens for us! 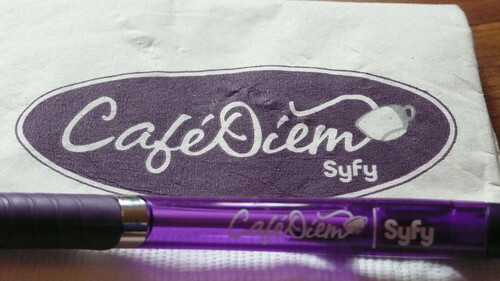 Cafe Diem is the best thing that SyFy does for Comic-Con, in my opinion. The food wasn't bad, either! Here's a tip: go on Wednesday night, any other night is a long wait. I also scored a new copy of the 4th Sookie Stackhouse novel (to correspond with the 4th season of True Blood) with the HBO cover, and a shiny copy of A Game of Thrones as well. we have recently started watching Psych and are slightly obsessed! 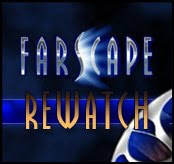 Love the show :). Hope you're doing well! 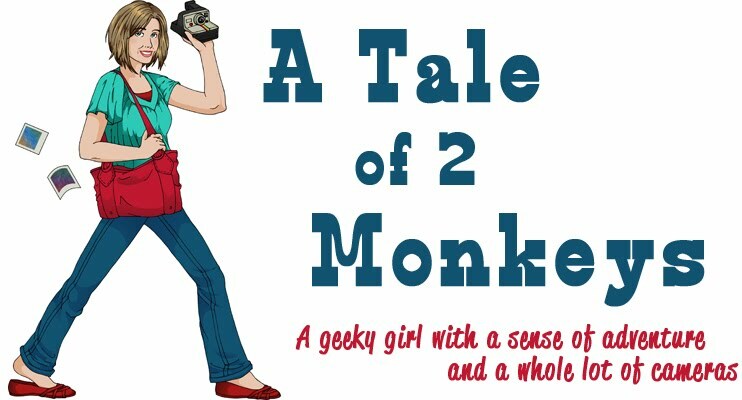 @HolliJo - that show gets better as it goes, have fun! Agh! Great stuff. :D We've gone to Cafe Diem the past couple of years and we take stuff from there each time we go. I think we've even got a menu, haha. Colt's not bashful about that sort of thing. Mandy - I was thinking about stealing a menu. If I had a backpack, rather than a purse, I would have taken one. Our server did complain about people stealing all their menus, though.